Bob is Executive Director of the Utility Economic Development Association (UEDA). Based in Newport, Rhode Island, the UEDA is currently composed of 63 investor-owned electric and gas utilities in the United States and Canada who are active members and 17 service providers who are associate members. In total the association has over 250 individual professional utility economic development professionals and service industry experts who are members. Bob has been involved in the field of economic development since 1986. He began his economic development career as a principal and founder of Euromarket Development Services (EDS) which specialized in business identification and attraction in Western Europe. In this capacity he had long-term client relationships with investor-owned utility electric and gas economic development departments as well as state, regional and local economic development organizations in the United States and Germany. He spearheaded the EDS partnership with Area Development Magazine to create the Location USA program designed to showcase American regions at the Hannover Fair in Germany. Bob has organized European trade missions for governors in the states of New Jersey and Ohio as well as for the country of Germany in the United States and Canada. In 2004 he was selected for his present position. In his lives prior to EDS and the UEDA, Bob worked for Trout & Ries, the New York City marketing agency that created “Positioning” (a.k.a. “Branding”), was a marketing vice president of Dun & Bradstreet’s successful start-up digitized voice division, a vice president Marsteller/Burson-Marsteller, the largest business-to-business advertising/public relations agency in the world at the time, and an advertising/ public relations director for General Electric, where he wrote an outdoor lighting demonstration action drama that is still used today. 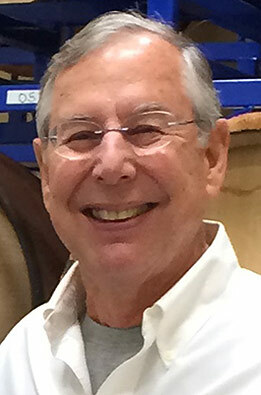 Bob was a Navy Lieutenant, is a graduate of the University of California, where he earned an undergraduate degree in business and a master’s degree in mass communications. He is also a graduate of the prestigious General Electric training program. He had the good fortune to work in Germany for over 4 years where he met his wife and business partner, Christina. Christina is Managing Director of the Utility Economic Development Association (UEDA). She has been in this position in 2004. Based in Newport, Rhode Island, the UEDA is currently composed of 63 investor-owned electric and gas utilities in the United States and Canada who are active members and 17 service providers who are associate members. In total the association has more than 250 individual professional utility economic development professionals and service industry experts who are members. She has been involved in the field of economic development since 1985, when she began work for New York State Electric & Gas to generate foreign direct investment from Germany. In 1986 she joined forces with Bob to establish Euromarket Development Services (EDS) which specializes in business identification and attraction in Europe for direct investment in the United States. This collaboration continues to this day. As an EDS partner, Christina has had long-term client relationships with investor-owned utility electric and gas economic development departments as well as state, regional and local economic development organizations in the United States and Germany. She collaborated with Area Development Magazine to create and implement the Location USA program designed to showcase U.S. states and regions at the Hannover Fair in Germany, has developed and implemented foreign direct investment programs for various American investor-owned utilities, has organized European trade missions for governors in the states of New Jersey and Ohio and also for Invest In Germany in the United States and Canada. In Christina’s business life before EDS and the UEDA, she was the international business liaison and marketing executive for Bata Shoes in Frankfurt, Germany in charge of coordinating sales and promotional activities in Germany, France, Benelux and the United Kingdom. She joined the Frankfurt subsidiary of Marsteller International, a New York based business-to-business advertising agency, as assistant to the General Manager and became a “copy-contact” account executive coordinating and implementing pan-European advertising campaigns for multi-national clients like Dow Chemical, DuPont de Nemours and Flying Tigers, which merged with Federal Express. 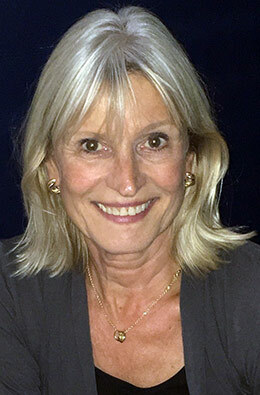 When she moved to New York in 1981, she worked as a “freelancer” for both German and American companies doing research, and writing and translating promotional copy into German and French. This led to work for the State of New York’s economic development agency and to work on New York State Electric & Gas’s European foreign direct investment program. Christina attended the Johann Wolfgang von Goethe University in Frankfurt, Germany and holds international language degrees in English and French from the renowned Bachschule in Frankfurt. She also attended the Anglo-Saxon School of English in Bournemouth, England where she earned a “Lower Cambridge” degree. Christina and her husband Bob met in Frankfurt, Germany and have been married since 1980.